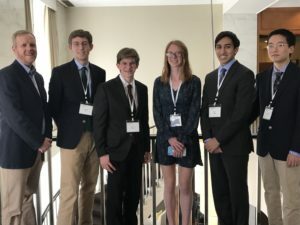 The Actuarial Foundation proudly announced winners in its second annual Modeling the Future Challenge, a national scholarship competition aimed at introducing the actuarial profession to high school students, April 11 & 12, 2019, in Chicago, Illinois. The Challenge was developed with the Foundation’s partner, the Institute of Competition Sciences. 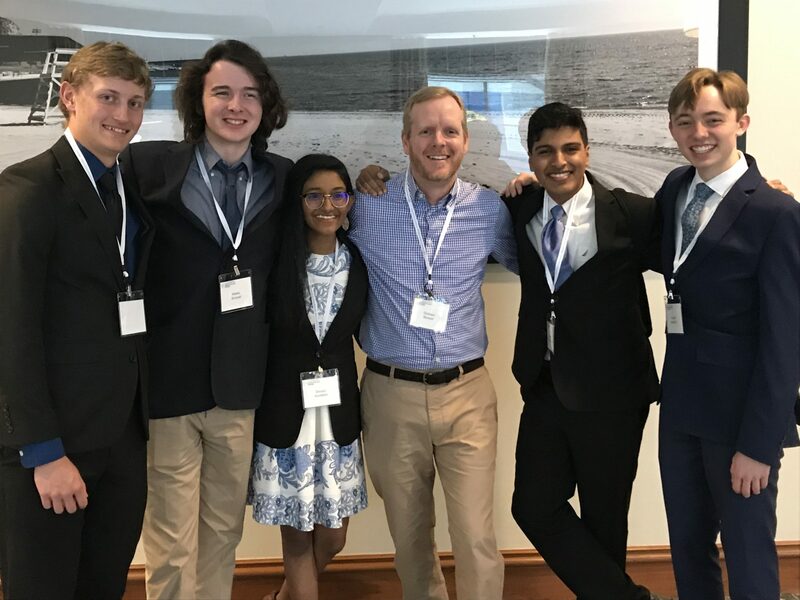 Coming in second place and winning the $15,000 scholarship award were Nikhil Brahmapuram (’19-Henrico), Henry Coates (’19-Hanover), Russell Graviet, Jr. (’19-Chesterfield), Madoc Kimball (’19-Henrico) and Shivani Kundalia (’19-Henrico) from Maggie Walker Governor’s School. 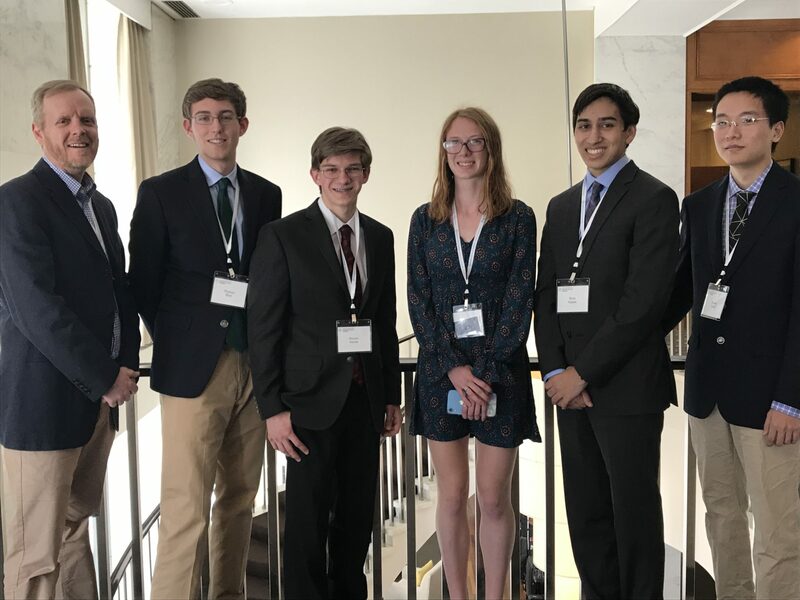 The third-place scholarship award of $10,000 went to Thomas Blue (’19-Richmond), Derek Chen (’19-Henrico), Nicolas Ferree (’19-Chesterfield), Mary Caroline Heinen (’20-Richmond) and Ryan Kaplan (’19-Henrico) also from Maggie Walker Governor’s School. Students from each winning team will share the scholarship awards, which will be sent to the colleges of their choice. Both MW teams are sponsored by Mr. Dickson Benesh, Math Department Faculty member. Congratulations to the MW students and to Mr. Benesh! The finalist teams were selected from 210 participating student teams from across the country. 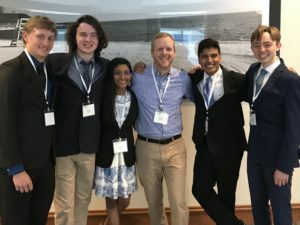 This year’s Challenge was incredibly competitive with student teams working to develop mathematical models of how future cures or treatments for diseases may affect our lives. Teams had to first pass a qualifying round of scenario response topics to demonstrate their mathematical acumen. Semi-finalists in the Challenge were then paired with actuary mentors who helped guide the students as they did research, data analysis and drafted their final papers. The teams presented their final papers to a panel of actuary judges at the Symposium.